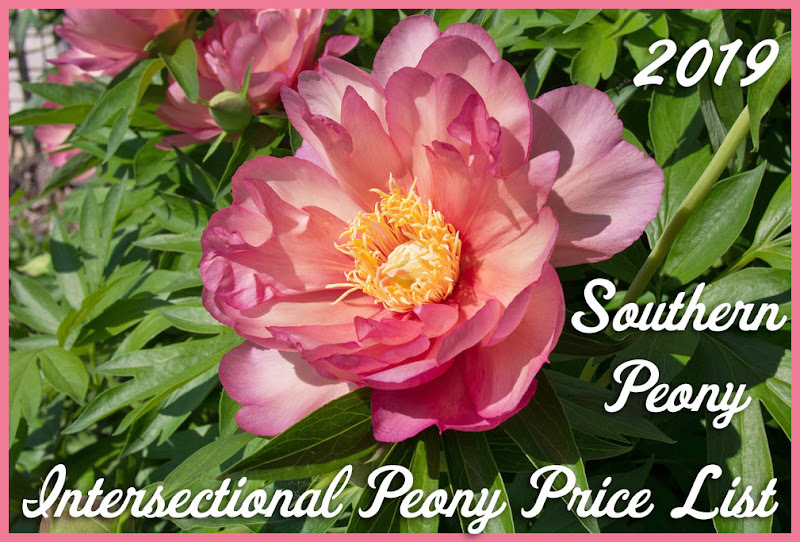 My intersectional peonies from 2018 Tulip World Offers Intersectional Peony 'Scrumdidleyumptious' for $12.95! arrived this past Friday, and I immediately potted them up. The foliage had already been growing in the bag for some time. Whenever I've gotten roots like this and planted them out in their spot in the garden in the past, the foliage seems to burn up in the sun and die. I think they've been in the bag in the dark too long, and started growing in almost no light or completely no light. That's why the foliage growth is so pale. Then when I plant them out in their full sun location, the intensity of the sun's rays are just too much for the immature foliage that has been growing in the dark. So this time I decided to try potting them up and putting them in the shade for a little while, until I'm satisfied that the foliage is growing well and will live. It's kind of like hardening off plants that you've been growing indoors or in a greenhouse that are used to a warmer more even air temperatures. You have to kind of ease them into living outside again. The roots seem to be good size for the price. 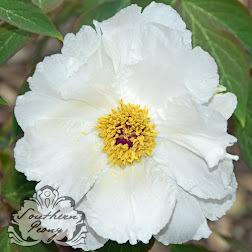 A lot of people are discussing this one from Tuplip World on the peony forum. Are those roots imported? I have not tried something like this before. Any estimate how many years will it take to bloom? Yes, these seem to be decent sized peony roots with 2-3+ eyes per root. I'm guessing they are imported since the web site and the catalog they sent me both say "Dutch Flower Bulbs". I think these roots will probably bloom in 2-3 years if they are treated delicately at first (since the foliage has been growing in no light). If the foliage dies back and has to regrow, it will take even longer for them to grow to blooming size plants.